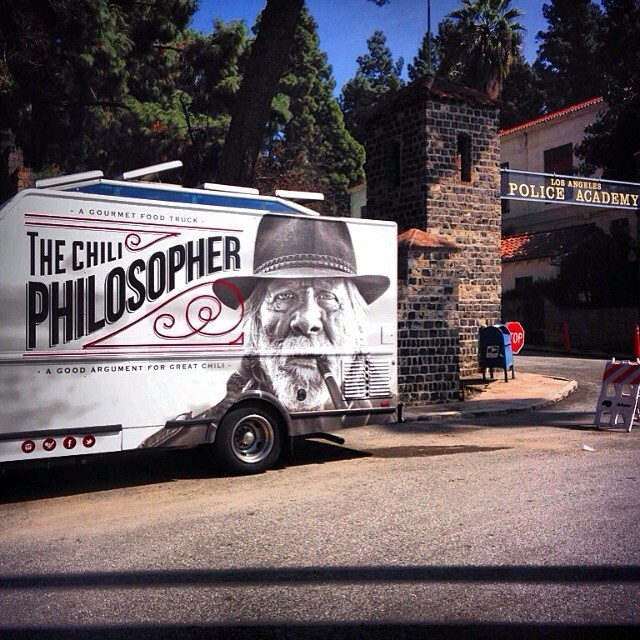 The Chili Philosopher is a Los Angeles based gourmet food truck, taking the humble bowl of chili to the next level. We serve our triple beef chili with freshly baked cornbread using state-of-the-art methods and farm-to-truck suppliers. Our Chili burger is a chili-infused-patty and our pork chili is inspired by the Asturian region in Spain. The Chili Philosopher is putting thought into the bowl of red.